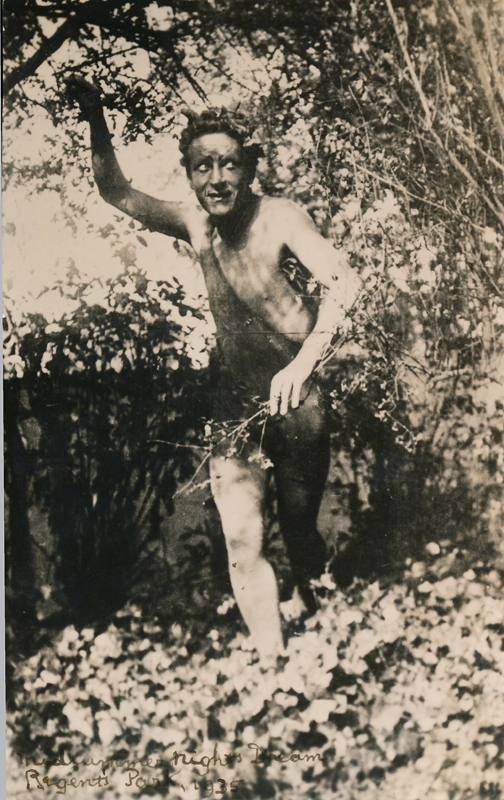 Leslie French, the English actor, played Puck in this 1935 production of A Midsummer Night’s Dream. He joined the Old Vic in 1930. French became well known for playing Shakespeare’s spirit characters and clowns and fools. 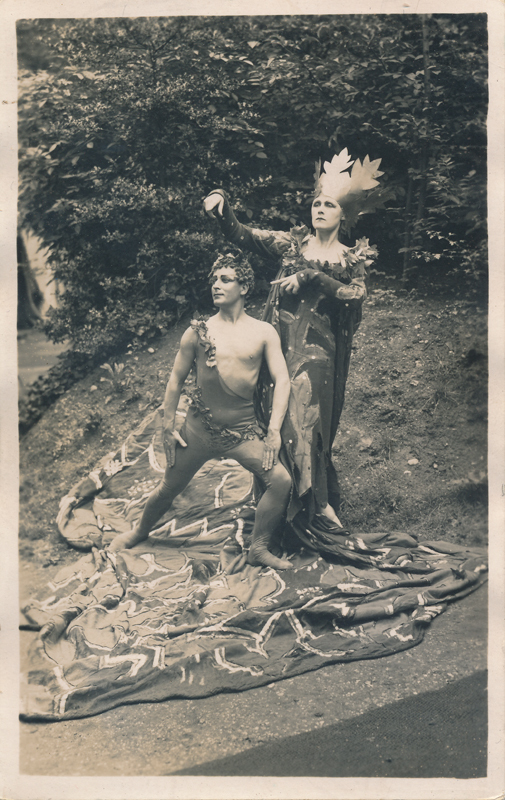 He played roles such as Ariel in The Tempest, the Fool in King Lear, and Touchstone in As You Like It frequently. In the 1960s, he played in a number of films. He was also engaged in promoting multi-racial theaters in South Africa in the 1950s and 1960s.